Popular restaurant for Chinese fare and dim sum in China Town Plaza. : China Town Plaza features an array of restaurants and boutiques, as well as an amazing supermarket. Among the complex’s top eateries is the spacious, cheerful Harbor Palace, opened by brothers who had learned their trade in a few of the town’s better Chinese restaurants. 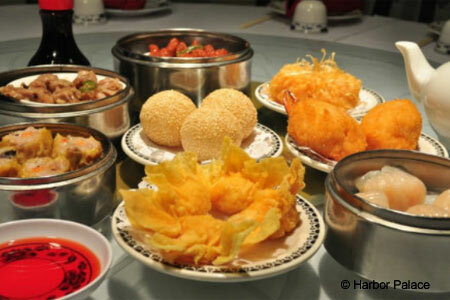 Dim sum is so popular that Chinese New Year guests at resorts order it to go. Try authentic appetizers such as crystal-preserved chicken feet and BBQ suckling pig. Hot-and-sour soup is good, as are the variety of bean curd soups. Go for the baked oysters with jellyfish and, from the live fish tank, the pan-fried rock cod with a choice of tangy sauces. Hot pots of eggplant with garlic sauce and beef stew are available, as are sizzling platters. Wine and beer are offered. 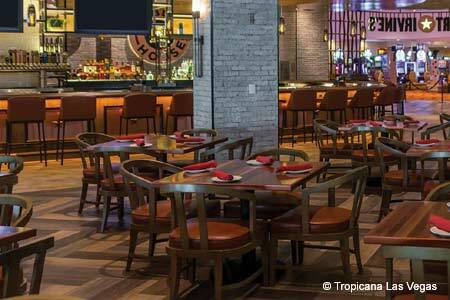 A lively late-night hangout for restaurant and casino employees at the end of their work days, Harbor Palace features a special graveyard shift menu.